Western values feedback on its core business, services, students and staff. We recognise that on occasion, we will receive complaints. For more information on complaint resolution at Western, select the relevant button below or contact the Complaints Resolution Unit. 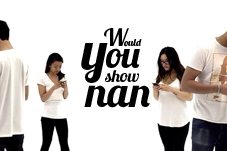 Would You Show Nan' is a campaign that asks people to think about how posting/sharing images or text can have drastic consequences, for themselves, or others.